I am in Houston on business this week and am lucky enough to be close to one of my favorite restaurants: The Grove. 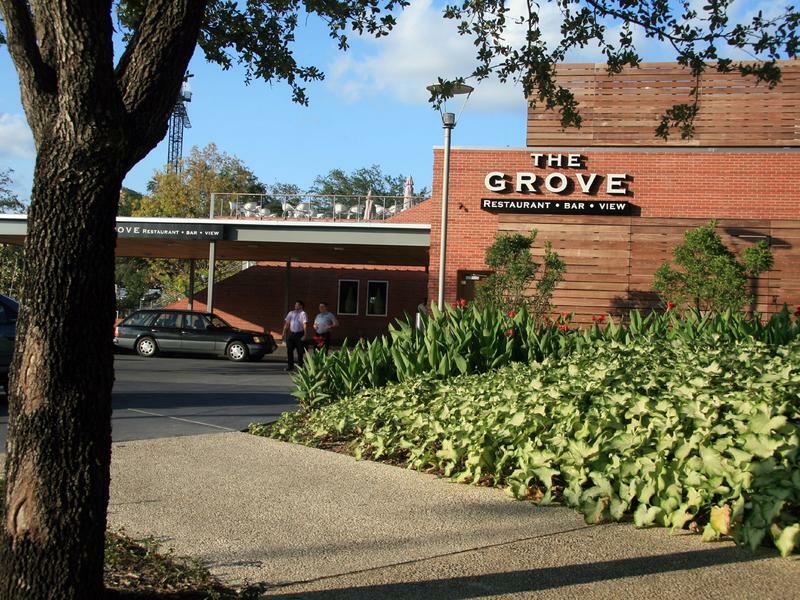 The Grove is right across the driveway from the Houston Hilton and really close to the convention center. It is located on the South end of Houston’s12-acre urban park, Discovery Green. 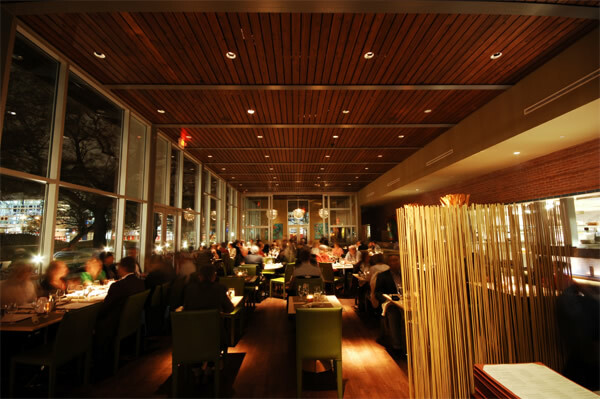 The Grove is the definitive see-and-be-seen culinary hotspot in Houston’s urban core and has redefined downtown dining since opening in January 2008. 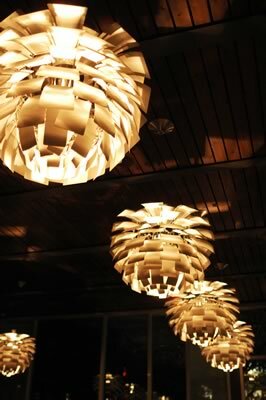 The architecture is the "other star" besides the food. Architecturally stunning. Very mid-century modern. Plopped down smack dab in the middle of this beautiful park setting. It's pretty awesome. I love this building. I could convert this thing into a house in a heartbeat. 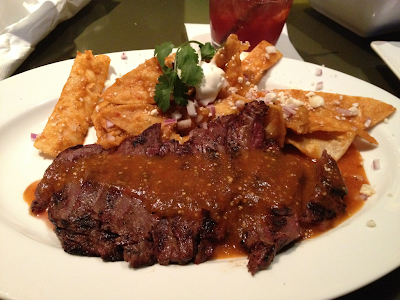 The grilled skirt steak... in a word? Succulent. And can you tell me where in the world you can get world class food for a $15 entree? Really? I've ordered it four times in the past. I first had it with fries smothered in chili, but now, it is more traditionally served with Chiliquiles! I love it. Grilled Skirt Steak with Chilaquiles! If you find yourself in Houston, give it a try. You will not be disappointed. The staff is friendly. The drinks are stiff and well made. The scenery, including the clientele is pretty nice. It's definitely a repeat performance.